We examine the performance of chief executive officers (CEOs) of U.S. banks and thrifts. We apply Data Envelopment Analysis (DEA) to measure the performance of CEOs on a yearly basis over the 1997–2004 period, and find evidence that best-practice CEOs who have a DEA efficiency score of one are rewarded with higher compensation compared to under-performing CEOs who have a DEA efficiency score greater than one. We find DEA efficiency score to be a highly significant predictor of CEO compensation, even after adjusting for firm size. In addition, we find that DEA efficiency scores of CEOs have decreased over the observation period. We also find that best-practice CEOs tend to be persistent on a yearly basis, but we find little evidence of multi-period persistence. The results of this study can serve as a benchmark for CEOs wishing to evaluate their performance relative to their peers, and as a new measure of CEO performance. 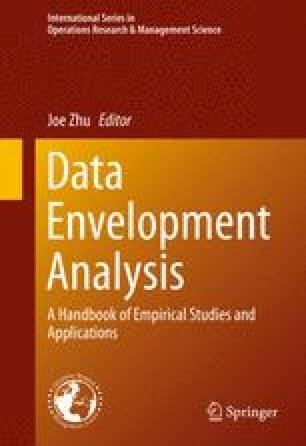 This chapter is based upon Chen, Y., G. N. Gregoriou, and F. D. Rouah (2009), “Efficiency persistence of bank and thrift CEOs using data envelopment analysis”, Computers and Operations Research, Vol. 36, Issue 5, 1554–1561. with permission from Elsevier. Professor Yao Chen thanks the Priority Academic Program Development of the Jianhsu Higher Education Institutions (China) for their support of this work.